With panoramic views of the reservoir, this is the ideal base to recharge and refresh or take part in an action packed day of activities. Facilities are open to both day visitor and guests staying in the luxury four and five star self-catering lodges. Board the Osprey ferry (subject to pre-booking and timetable). Keep your eyes peeled for some of the Kielder Super Six - red squirrels, ospreys (seasonal) and salmon. See the wildlife page for details about the Super Six. Check availability and book a lodge online. Check availability and book the caravan park online. "Fantastic place and something for everyone to do. Located in miles of beautiful landscape, birds and activities for everyone of all ages." "We had a very comfortable and extremely clean lodge which was ideal with a great view over the lake. The lodge was really cosy and had all the amenities you required for a weekend away." "Another great holiday to this beautiful area, cosy well equipped lodge and welcoming staff." 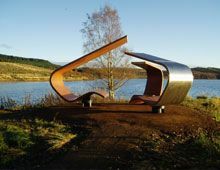 "We have been delighted with Kielder. Everything either met or exceeded our expectations. We really enjoyed our time here thank you." 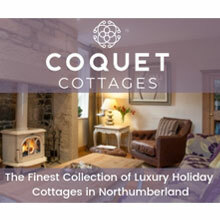 "The Tynedale Lodge met our needs completely. They are always so warm and comfortable. Staff on reception and in restaurant very helpful. Hope to return in the Autumn with other family members"
"Excellent quality accommodation....all you can ask for. Newly renovated, with a dishwasher, washing machine, flat screen TVs in the bedrooms....very cosy." "The staff were really friendly. We loved our stay and didn't want to leave."